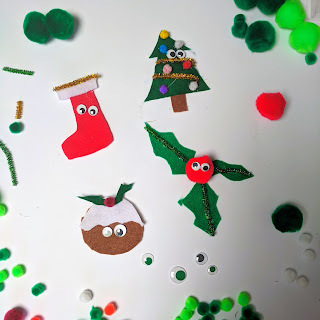 I probably love the Christmas build-up more than I love the big day itself, so when Little Buttons Diaries asked me to get involved with the Craftmas project, I didn't hesitate to say yes! 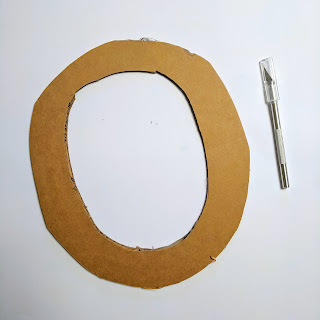 A piece of cardboard that will be cut into an 'o' shape. Step 1: Cut the cardboard base! 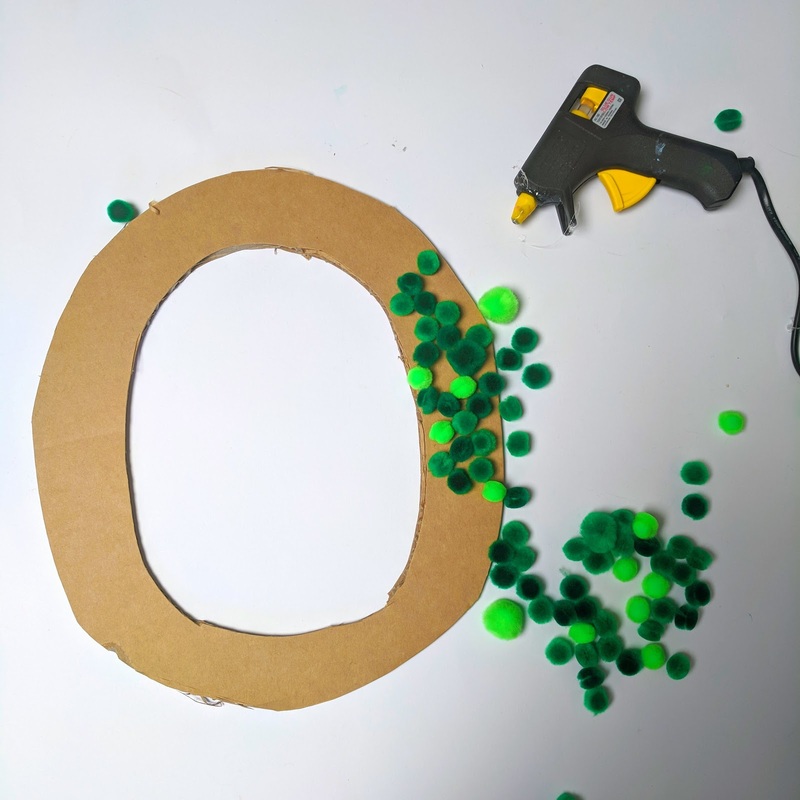 Cut part of a cardboard box into a 'O' shape using a sharp craft knife - this part is definitely a 'grown-up' job! Don't stress if the cut isn't perfect as it'll all be covered up with the pompoms anyway. 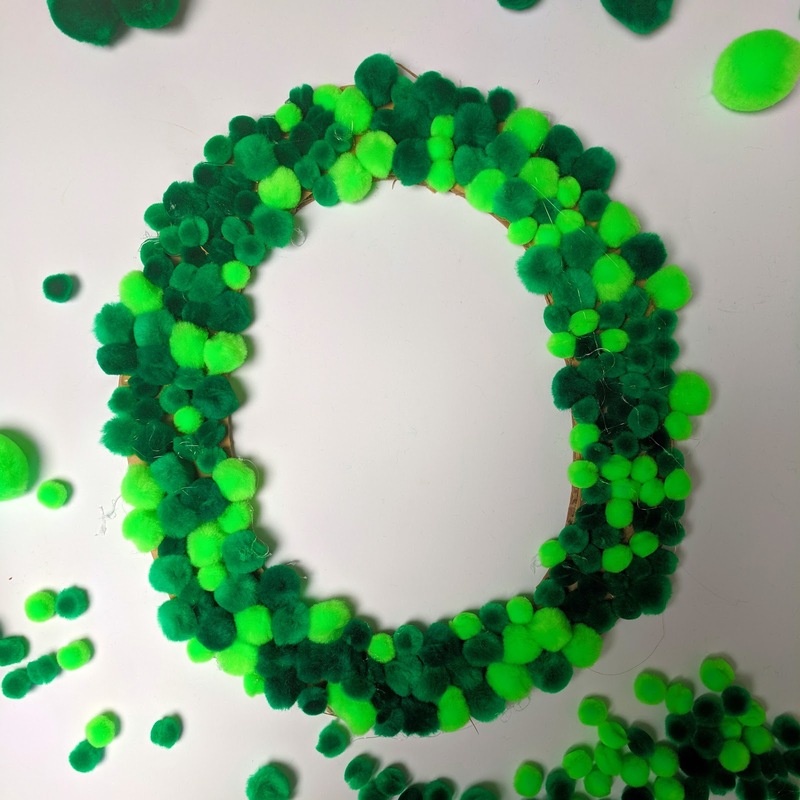 This is the most time-consuming part of the craft - if you have a tween or teen around, this is an ideal one for them to get involved with! Be mindful of the fact that 'low temp glue gun' does not make it any less burny if you accidentally get some on your fingers which is why it's best to be super careful if younger children are joining in. Step 3: check your work! 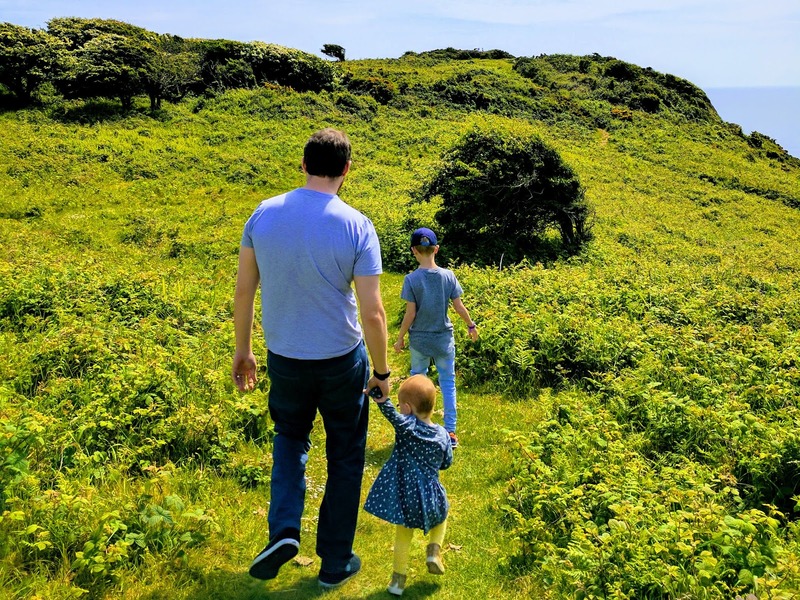 Once you've filled the entire circle, gently pull off the gluey 'spider webs.' Double check that the wreath is covered from all angles and add more pompoms if needed. Approximately 150 green pompoms were used to make this wreath, but who’s counting! 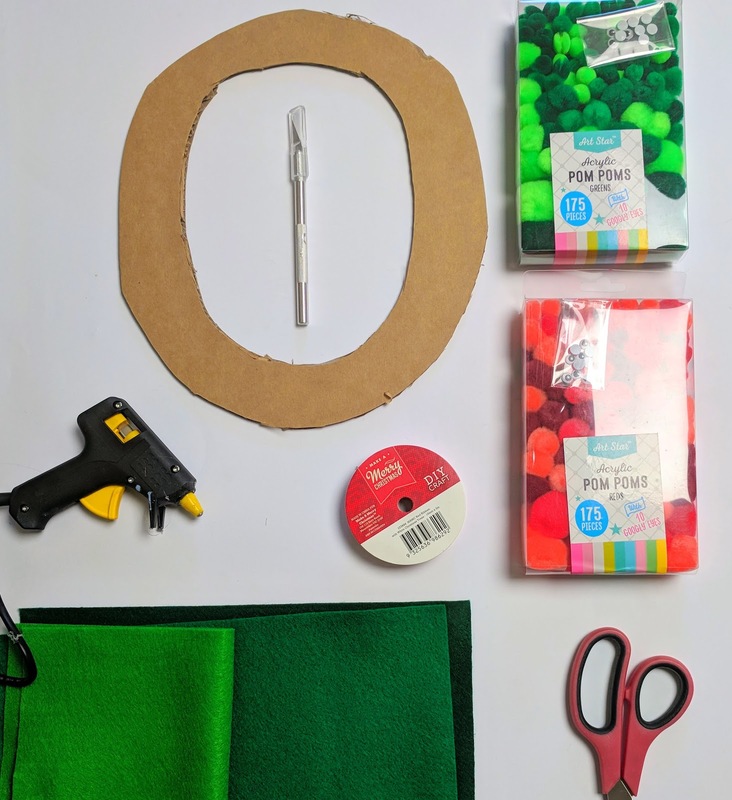 Step 4: Time to get your felt on! Play around with a few different iconic Christmas images to see what works best on your wreath. Featured above are our final felty pieces, but we also considered a reindeer, Santa and a snowman too - keep it simple if the kids are joining in! Test where the felt pieces will go first. We found that the Christmas tree and stocking looked better along the vertical sides, for example. The glue sticks super-fast so you don't want to ruin your amazing craft by attempting to re-stick! 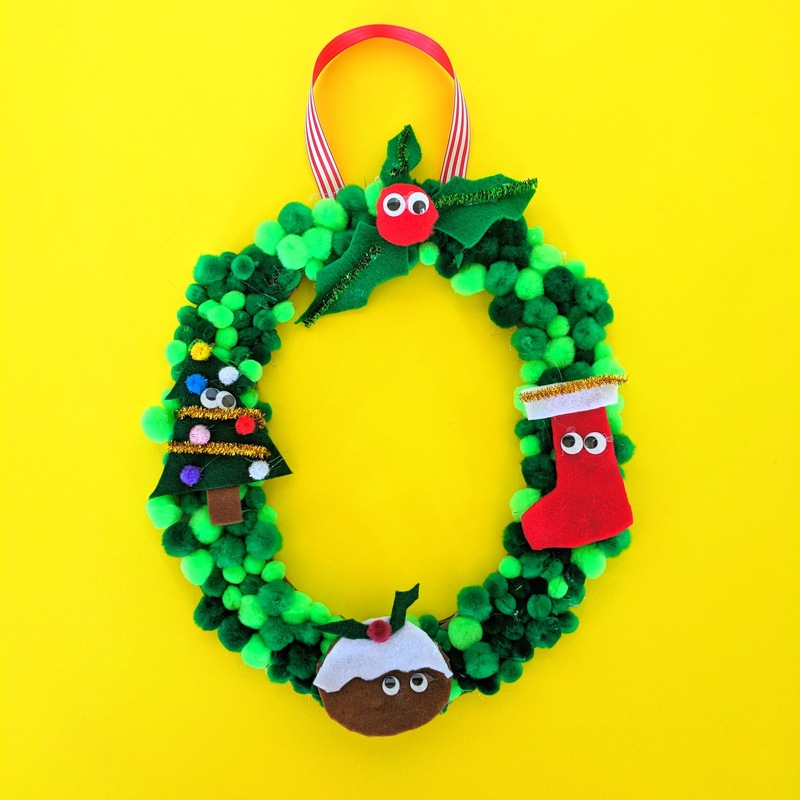 Glue a Christmassy ribbon to the reverse of the wreath, then stand back and admire your amazing handiwork! I hope that you all have an amazing Christmas with your family and friends. 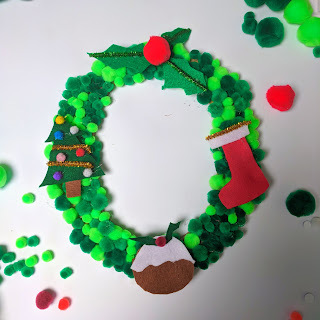 If you decide to make crafts part of the festivities, do tag me in. 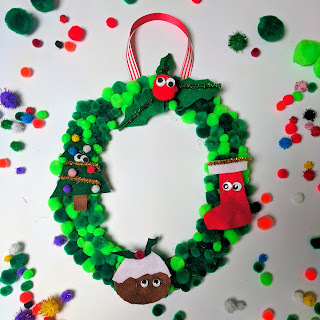 I absolutely LOVE it when you share your ideas and if you decide to make your own pompom wreath, send me a photo! You can also visit us all on instagram to get in ‘the loop’ for all of the other amazing crafty projects being unwrapped this Craftmas day!